Following its sold-out premiere run, MAD WORLD the immersive theatrical experience returned in 2019 for a limited season. 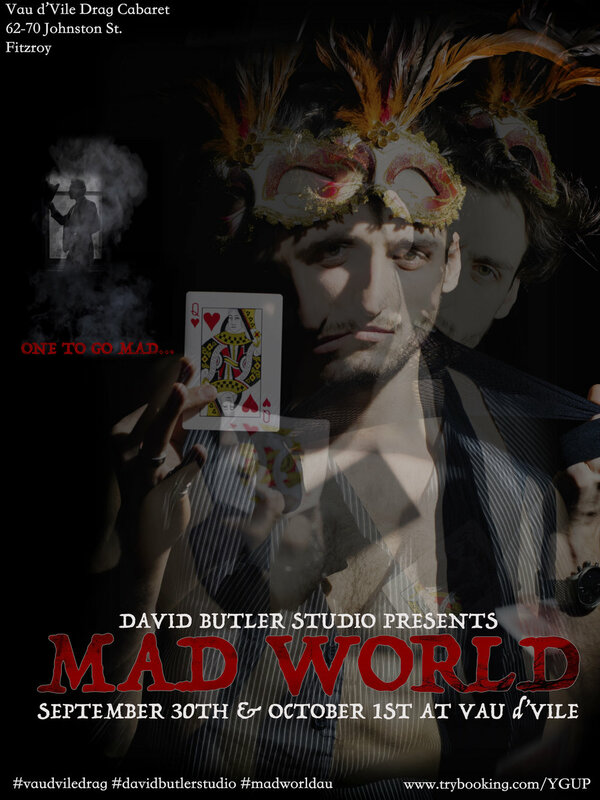 Presented by David Butler Studio and Richard Taki, MAD WORLD transports audiences to the twisted and mad cabaret world of Klub Wonderland in WWII Berlin. Surrounded by the creatures of the night, audiences navigated an upside down world that didn’t always make sense. Letting curiosity get the better of you, audiences uncovered secrets, made alliances and found themselves going as far down the rabbit hole as they dared. No two audience members have the same experience. Completely blurring the line between theatrics and reality the premiere of MAD WORLD is an experience not to be missed. 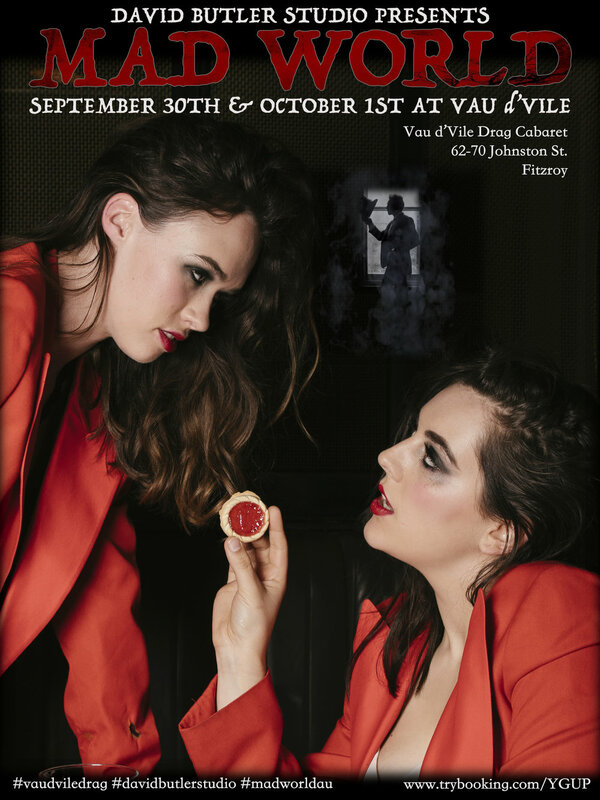 We were so grateful to have partnership with Vau d’Vile Drag Cabaret and The Space Dance Centre for this iteration. The incredible ensemble cast who welcomed you to Klub Wonderland for the return of MAD WORLD. A fiery ensemble of performers created the first iteration of MAD WORLD.